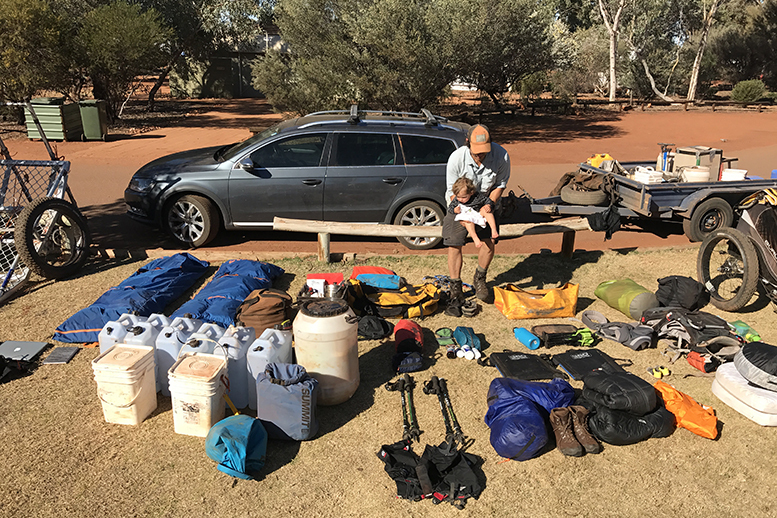 As Lauren Jones prepared for a family expedition with her husband and one-year-old daughter, that would cover 1800km from the centre of Australia to the south coast, she was surprised by the amount of waste and single-use plastic that is a part of travel and outdoor exploration. A long time sustainability advocate and strategist, it was only natural that Lauren would set out to work towards zero-waste expeditioning. Believing in the power of collaboration and human experience to make a positive impact, Lauren has set out a few of her learnings that can be adapted to your next multi-day hike or camping trip. During the planning phases of our expedition, one of the things that surprised me was the amount of waste, specifically single-use plastic, that is often the norm in travel and outdoor industries. Driven by the need for lightweight, portable, non-perishable and convenient options, it seems everything is wrapped in plastic. Add planning and packing for a baby into the mix and if you aren’t careful, you could soon end up swimming in plastic. Most outdoors-folk are pretty conscious about protecting the environment and have a pretty good 'pack it in, pack it out' policy, but we found that the decisions you make should start earlier, when you decide what to buy and pack in the first place. For us, we wanted to take the concept of ‘pack it in, pack it out’ one step further. Given the amount of waste and plastic that is now polluting the natural spaces that we love to play in, we should all be conscious about what we ‘pack in’ as there is no ‘away’ to throw it to once we pack it out. I realized that if I wanted to make better decisions while we were out on our next adventure, then it needed to start at home. 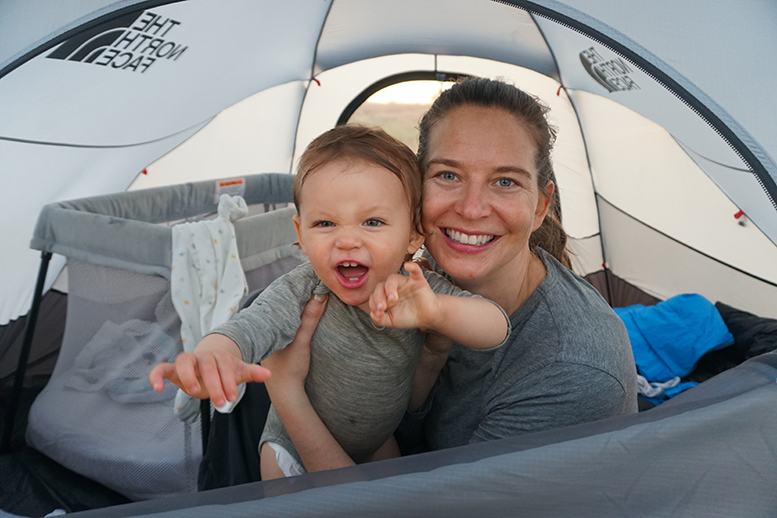 From the start we tried to pack as lightly and thoughtfully as possible and embarked on a journey towards zero-waste expeditioning (more on our blog here). We recognized the breadth of this task, and we knew we wouldn’t get it perfect all the time, but we were committed to asking more questions, choosing products responsibly, thinking about supply chains and taking only the essentials: bamboo toothbrushes, DIY toothpaste, and making bulk, healthy and unprocessed bush meals. Deciding what to bring with you on your next multi-day bushwalk, over-night camping trip or overseas adventure will affect your impact on the planet even before you have arrived at your next destination. Along our journey towards zero-waste expeditioning, travel and living, I’ve learned a few ways to keep the waste to a minimum and adventure to a maximum. We are constantly looking for ways to minimize and preferably eliminate waste and a few simple packing and planning tips can go a long way. Multi-day bushwalking can be a serious drain on battery power. Smart phones, cameras, torches, drones - the list can go on for the modern adventurer. Rather than packing a bunch of batteries, it’s cheaper on the back pocket in the long run, lighter on the back and better for the planet to bring along rechargeable batteries/powerpacks and a little solar set up to juice up your kit. Our solar kit of choice is the Goal Zero Venture 30 recharging kit and Guide 10 plus recharger. Even though we were headed out on a long expedition, we still wanted to eat healthy, unprocessed and tasty meals while out on the trail. When we were looking around for food options, we realized that most ‘adventure’ food was single-serve, highly processed and encased in single use, non-recyclable packaging, which would have added up to a ton of plastic waste. So we decided to get creative. We shopped for bulk food and premade our meal mixes, transporting them in Sea to Summit dry sacks, nearly reducing our single-use plastic food waste to zero. We premade all of our breakfast muesli, trail mix and even premade a high-protein chocolate chip pancake mixture, ready to just add water and cook on an open fire. 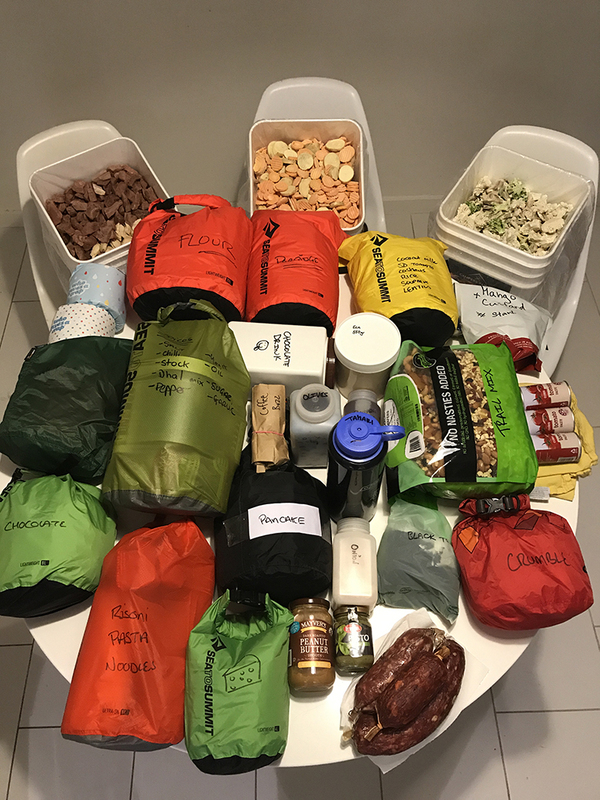 As we didn’t have enough time to dehydrate the amount of meat and vegetables that we needed, we got in touch with a local Australian family owned business, Campers Pantry, who happily agreed to supply all of our freeze-dried meat and vegetables in bulk. Campers Pantry products were perfect as they were Tasmanian made, nutritious, lightweight and long-life. We loved mixing our own trailmix - put in only the things you love, nothing that you have to avoid every time you put your hand in the bag. Our houses, closest and storage containers are bursting with things we don’t actually need. Always ask yourself: Do I need it? Can I borrow it? Can I buy it second hand? Can I repair it? It’s often more cost effective to get that zip on your tent fixed or the waterproofing on your favourite ski jacket refreshed before you chuck it in the bin and get a new one. If you do buy something new, think ethically sourced, organic and natural. When it comes to sourcing food try to buy local options, and varieties that are in season. Think about the impact of your buying choices. If the food you're buying to take bush has come from half way across the world, then there is a lot of energy expenditure going into getting it to you. On our expedition and ideally in everyday life, I wanted to keep our toiletries simple, effective, natural and plastic-free. 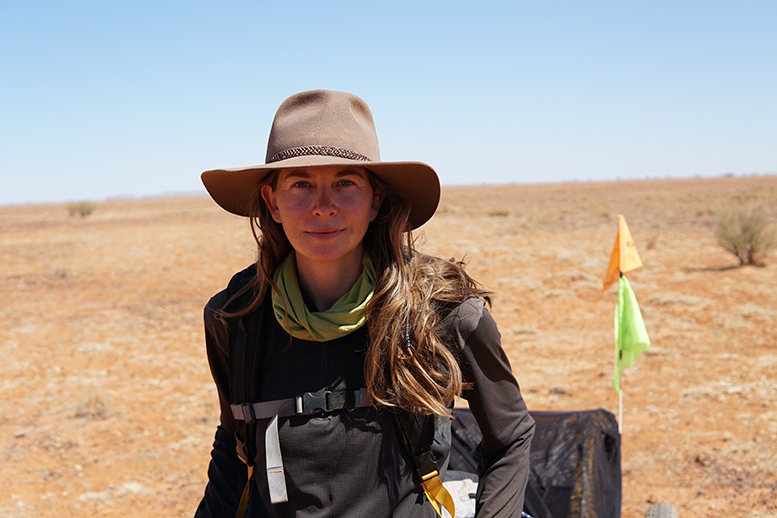 Given we were going to be living out in the wilderness for 102 days straight, not leaving plastic toothbrushes, toxic toothpaste and plastic microbeads behind in the Outback was super important to me. When I started looking around for options I realized there were so many good DIY recipes for toiletries that were simpler, cheaper and more effective than expensive, plastic-wrapped, store-bought options. You can find my favourite recipes for DIY toothpaste powder and deodorant here. If you are buying toiletries, aim for grey water safe shampoo, and soap so that no nasty chemicals invade our wild places. But let’s be honest, for a ‘bush bath’, all you really need is a good old bar of soap that dries in the sun and won’t spill in your bag, a washcloth and an enamel cup. This one is for the adventure parents. We partnered with an awesome company called gDiaper for our expedition and we trialled the first 100% compostable, disposable nappy called gCycle. As they had zero plastic, unlike all other disposable nappies on the market, they were safe to burn. gCycle nappies aren’t readily available on the market yet but gDiaper and many other disposable inserts and reusable pants are, which make a great option until more 100% compostable, disposable ones hit the market. You can compost or burn the insert and re-use the cute and colourful pant. And for the wipes, you can find 100% bamboo wipes that can safely go in the fire too. Or even better, make your own. I cut up old facecloths into quarters and I made up a solution of water, a few drops of pure castile liquid soap and lavender oil. You can keep this in a spray bottle for easy use. You know that down jacket that you love to wear when the sun goes down and keeps you cosy all night? Make sure you look out for companies that source their down in an ethical way. We love that The North Face pioneered the Responsible Down Standard (RDS) years ago, which many other outdoor gear companies now subscribe to. We always make sure whenever we buy down we check for this certification because we want to promote positive animal welfare conditions and traceability. I love getting behind movements such as Take 3 for the Sea and Hike It Out. They remind us that it is our everyday little actions that add up, and collectively we can all make a big difference. Whenever I am down at the beach or out for a hike, I always remember to do my part. Take 3 For the Sea encourages people to take 3 pieces of rubbish with them when they leave the beach or waterway. Hike It Out holds everyone responsible for their own rubbish, and any they find along the way. Don't let perfection stand in the way of progress. These are just a few tips I’ve learned along the way but by no means am I perfect. I forget my Klean Kanteen from time to time, I buy my daughter any snack in a panic that will keep her quiet on the plane, forget to say no to a straw and get stuck buying a plastic-wrapped sandwich when I am starving. I am here to remind you that we are all human and it’s all good. Habits change over time and small steps are good steps as long as they are in the right direction. Where do you go to get inspired? To learn about what Australian and New Zealand top athletes are up to? To conjure grand plans for your next adventure? To share stories of exploration and the human will? The answer – right here. We invite you to join us in enriching lives with stories of the outdoors, told through imagery, videos, athletes and events that we support, and the greater outdoor community of Australia and New Zealand.